Your gift enables us to continue our important work. 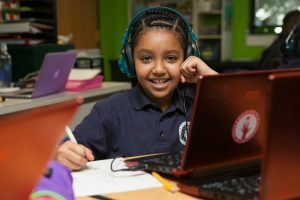 For almost twenty five years, through its educational programs Mother Caroline Academy and Education Center has successfully transformed the lives of girls and their families. Mother Caroline is the only private school in Boston serving girls from families with limited financial means. The need and demand for an all girls education remains great within the neighborhoods we serve–Dorchester, Hyde Park, Jamaica Plain, Mattapan, Roslindale, Roxbury and South Boston.